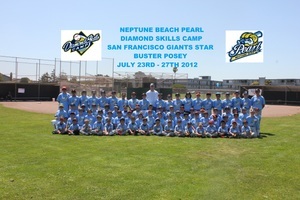 Buster Posey appeared at Diamond Skills Camp Session #4 July 23rd-27th 2012. San Francisco Giants Catcher, Posey the 2008 Golden Spikes Award Winner (Heisman Trophy of College Baseball) was drafted in the 1st round of the 2008 MLB draft with the 5th overall pick by the San Francisco Giants. He made his Major League Debut on May 29th, 2010. 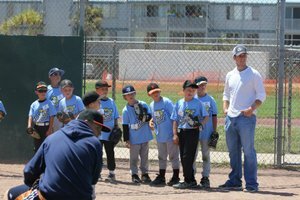 Posey went on to be named the National League Player of the Month & Rookie of The Month in July 2010, on his way to leading the Giants to the 2010 World Series Championship and being named the 2010 National League Rookie of the Year. In 2012 Posey lead the Major Leagues with a .336 batting average on his way to guiding the Giants to their 2nd World Series Championship in a three year span. He was named the 2012 National League Most Valuable Player. 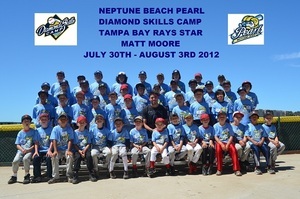 Matt Moore appeared at Diamond Skills Camp Session #5 July 29th - August 2nd, 2012. Matt Moore is currently a rookie starting pitcher for the Tampa Bay Rays. 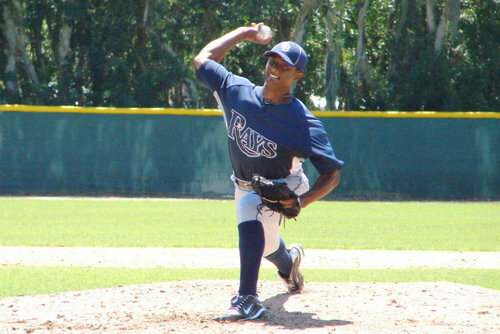 Entering the 2012 season he was ranked the #1 Prospect in Major League Baseball by MLB.COM. In July 2011 he pitched in the All-Star Futures game at Chase Field in Arizona and was later called up to the Major Leagues making his MLB Debut on September 14th, 2011. Moore broke onto the national scene when he started Game 1 of the American League Division Series in the playoffs against the Texas Rangers. Moore went into Arlington Ballpark and pitched 7 shutout innings for the Rays to win Game 1 against the eventual American League Champion Texas Rangers. 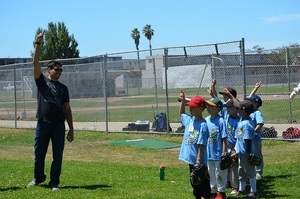 Marquis Fleming has appeared at Diamond Skills Camps in 2010, 2011 & 2012. Tampa Bay Rays Pitcher, Spent the 2012 season with Rays affiliates Double AA Montgomery Biscuits and Triple AAA Durham Bulls, 2011 Double AA Southern League All-Star, Led all Double AA relief pitchers with 104 strikeouts, Represented the Rays organization in the 2011 Arizona Fall League which features the top prospects in baseball, Voted by Baseball America in 2011 as the best Change-Up in Double AA baseball and the Rays organization, 2004 graduate of Saint Joseph Notre Dame High School.